Aging, sun damage, wrinkling around your eyes and mouth, acne scars, and skin pigmentation issues don’t present a pretty picture to others. Everyone, from Ponce de Leon to you, wants to present a younger, more vibrant appearance. A croton oil peel with Dr Kearney can do that. You may not have heard of a croton oil peel. It is also known as a Hetter peel or a modified phenol peel. A croton oil peel penetrates more deeply than most peels, hitting the deeper layers of the skin and addressing textural changes in the skin. By rebuilding some of these damaged textural areas, a croton oil peel improves the skin’s deep structure, dramatically improving sun-damaged and wrinkled skin. A croton oil peel tightens the skin; improves the appearance of age spots; improves uneven pigmentation; and lessens wrinkles around the mouth, forehead furrows, and crow’s feet. 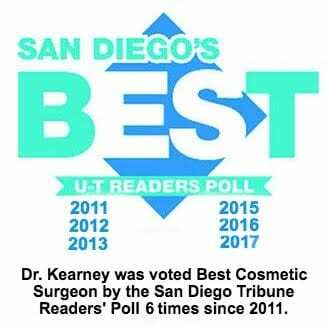 Dr. Kearney often performs a croton oil peel in coordination with other cosmetic procedures where the patient is under general anesthesia. It can, however, be a stand-alone procedure with lighter sedation. Sedation is necessary due to the depth of the peel. This is an aggressive peel. The patient’s skin will crust and ooze for the first week after the treatment. Recovery will require missing a week to 10 days of work. After the initial crusting subsides, the skin will be red or pink for two or more months. This can be covered with makeup. During this time, protecting against sun exposure is very important. Interested in peeling away your skin damage? Call us at 800-671-1951 and let us tell you about a croton oil peel.